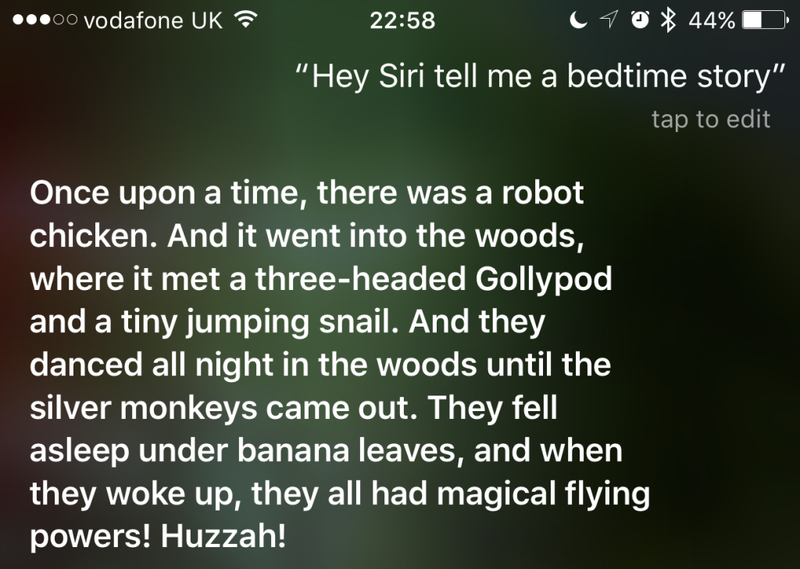 Siri tells me a bedtime story! Once upon a time, there was a robot chicken. And it went into the woods, where it met a three-headed Gollypod and a tiny jumping snail. And they danced all night in the woods until the silver monkeys came out. They fell asleep under banana leaves, and when they woke up, they all had magical flying powers! Huzzah!